When it comes to finding your perfect home or investment property, it’s just as important to consider the location, community and surroundings as it is to find an amazing floor plan. 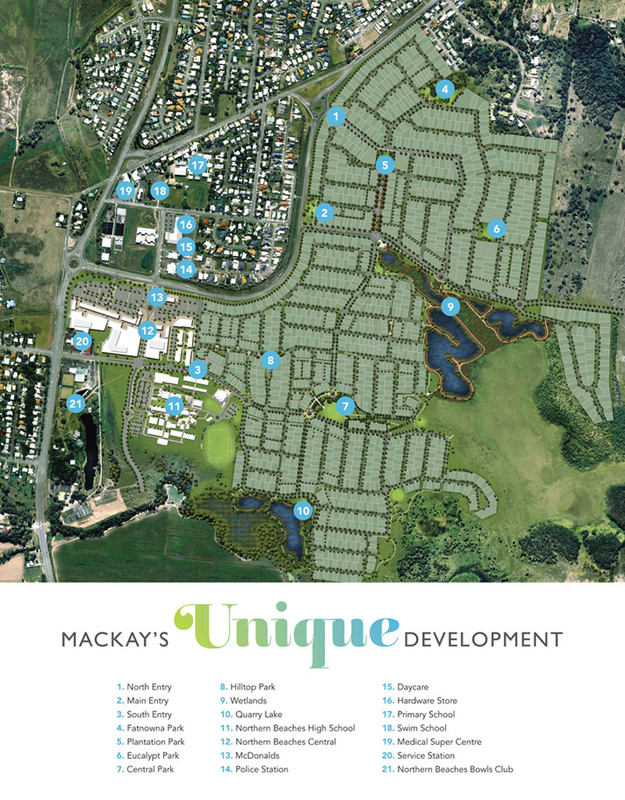 If you’re starting your search for houses for sale in the Mackay area, consider these advantages of buying into a master-planned community. A great location close to attractions, public transport and main roads. Master-planned communities are specifically chosen and intended for specific locations, which are usually in prime spots to access everything for a life well lived. This can help you locate a great suburb where you’ll be close to beaches, buses, medical centres, schools and shopping hubs, as well as main roads leading into the centre of town. In this way, you can choose convenience and quiet surroundings. A variety of options for your home and land. You’ll have a range of options when it comes to buying house and land in a master-planned community. At Plantation Palms, for example, you can move straight into a newly completed home or explore our Mackay display homes to find your builder of choice. We also offer a range of house and land packages of various sizes to make your search even easier. Open spaces and beautiful parks. In a subdivision, you could be a long away from any parks or green spaces which can significantly affect your quality of life. In a master-planned community, these gorgeous green spaces are carefully designed and distributed throughout the neighbourhood, so you’ll be able to step out and walk the dog or play a game of cricket whenever you feel like it without having to hop in the car. A consistent and high quality standard. In traditional suburbs you could have an amazing home but live right next door to neighbours who don’t respect their property. In a master-planned community like Plantation Palms, the houses are all brand-new buildings finished to the highest of standards. Not only does that mean that your new street looks tidy and modern, but the consistency of quality also lends itself well to stable growth in property prices. A strong sense of community and like-minded neighbours. Above all else, the people who surround you will make your house feel like home. That applies to neighbours too. Master-planned communities often attract like-minded people who love the same nearby social groups, services and surroundings as you do. You may just find some good friends in your neighbours, which also provides a wonderful environment for kids to grow up in. If you’d like to visit Plantation Palms, you can explore our display suite every Friday, Saturday or Monday or by appointment.